﻿﻿﻿The modern Multiport Fuel Injection System consists of sensors which detect the engine conditions, the ENGINE CONTROL MODULE (ECM) which controls the system based on signals from these sensors, and actuators which operate under the control of the ECM. The ECM carries out activities such as fuel injection control, idle air control, and ignition timing control. In addition, the ECM is equipped with several diagnostic test modes which simplify troubleshooting when a problem develops. 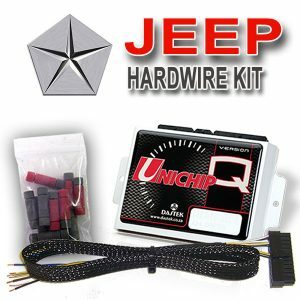 The ignition power transistor located in the ignition primary circuit turns ON and OFF to control the primary current flow to the ignition coil. 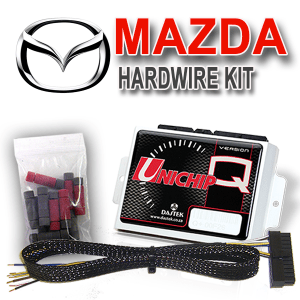 This controls the ignition timing to provide the optimum ignition timing with respect to the engine operating conditions. The ignition timing is determined by the ECM from engine speed, intake air volume, engine coolant temperature, and atmospheric pressure. 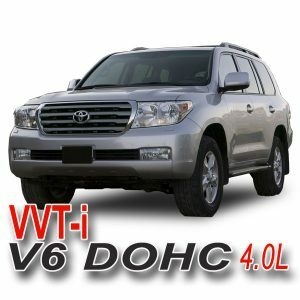 The injector drive times and injection timing are controlled so that the optimum air/fuel mixture is supplied to the engine to correspond to the continually-changing engine operation conditions. A single injector is mounted at the intake port of each cylinder. 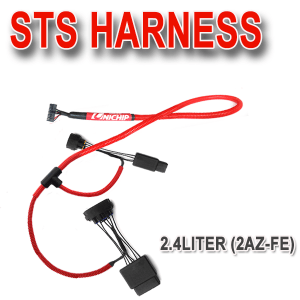 Fuel is sent under pressure from the fuel tank to the fuel injectors by the fuel pump, with the pressure being regulated by the fuel pressure regulator. The regulated fuel is distributed to each of the injectors. Fuel injection is normally carried out once for each cylinder for every two rotations of the crankshaft. The firing order is 1-3-4-2. Each cylinder has a dedicated fuel injector. This is called multiport. The ECM provides a richer air/fuel mixture by carrying out “open-loop” control when the engine is cold or operating under high load conditions in order to maintain engine performance.In addition, when the engine is under normal operating temperature after warming-up, the ECM controls the air/fuel mixture by using the heated oxygen sensor signal to carry out “closed-loop” control. The closed-loop control achieves the theoretical air/fuel mixture ratio where the catalytic converter can obtain the maximum cleaning performance. 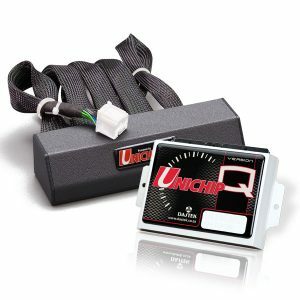 With the Unichip you have full control over these parameters to make changes to the timing and fuel maps. The Unichip has 24 RPM sites between 100 RPM and 24000 RPM and 13 load sites between closed throttle full throttle position. This equates to 312 possible adjustments for each map. In turn the Unichip will interpolate between each load site 16 times which gives you a very high resolution dense map. 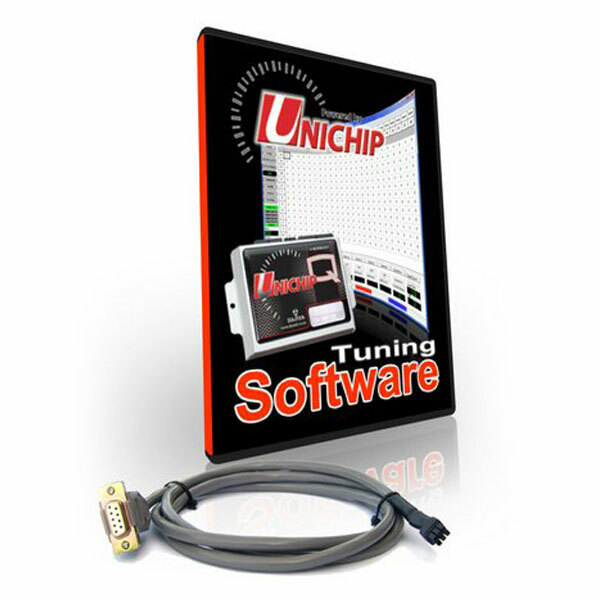 UniQ is Unichip’s latest software package for tuning engine’s. This software is a radical shift from classic DOS system which was in operation for over a decade. 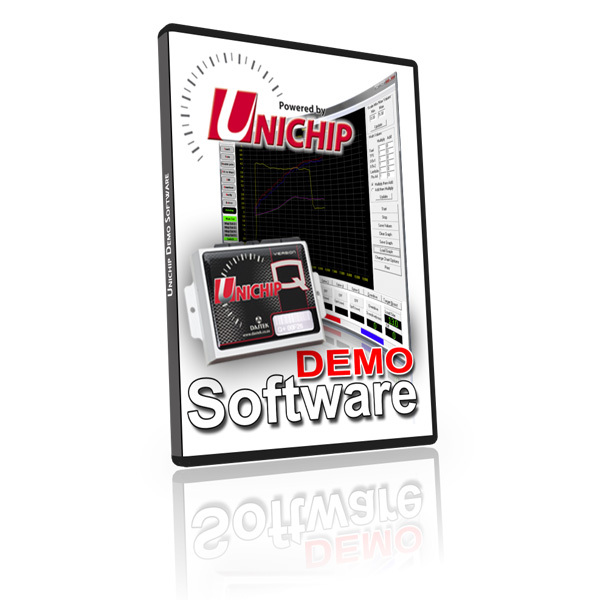 Take the Unichip software for a test drive and see for yourself.